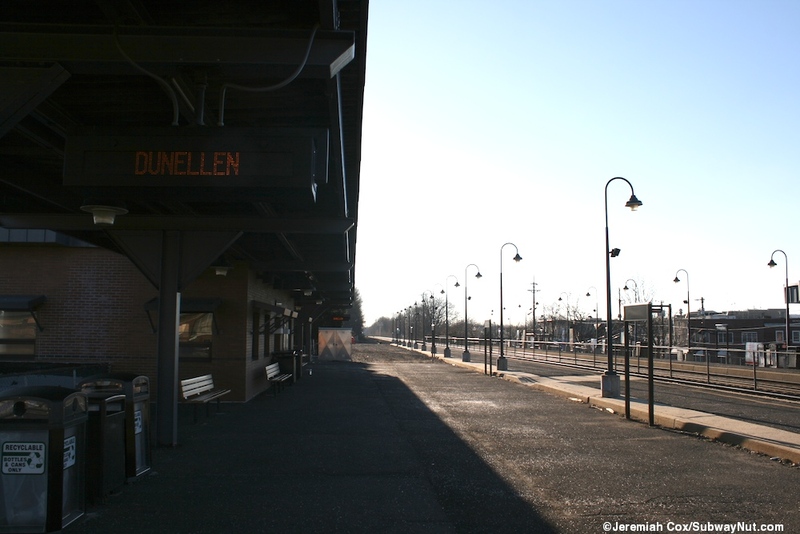 Dunellen is a Raritan Valley Line train station on an embankment designed for four tracks although only the two northern most (formerly Raritan-bound tracks) still exist. 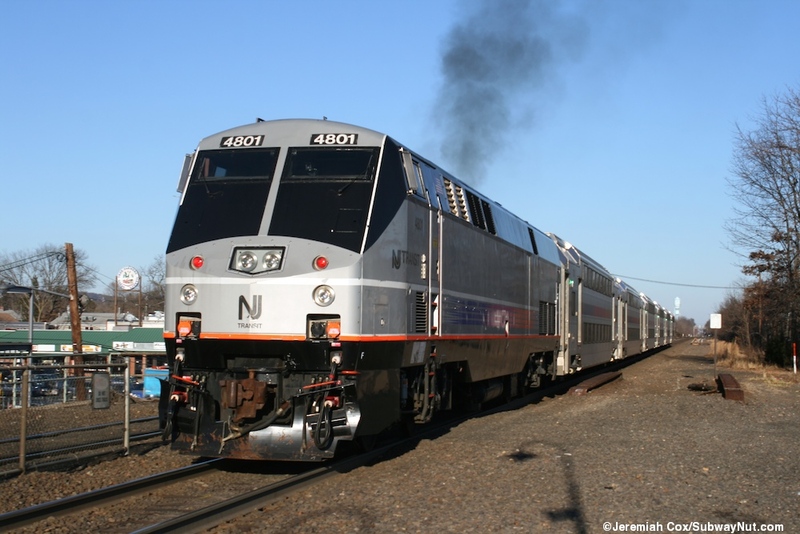 The station has two low-level side platforms that can accommodate six cars in the Raritan-bound direction, five in the Newark-bound direction. 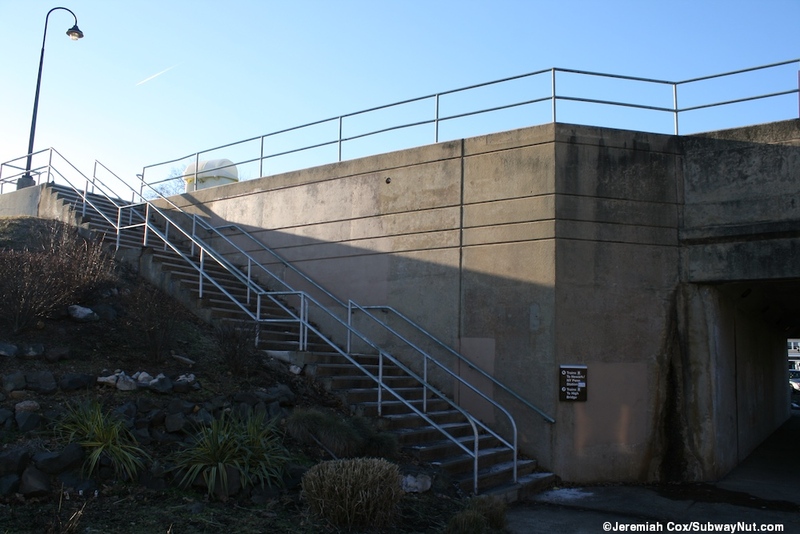 The sides of the embankment are nice grassy knolls, and the platforms low fences above them. 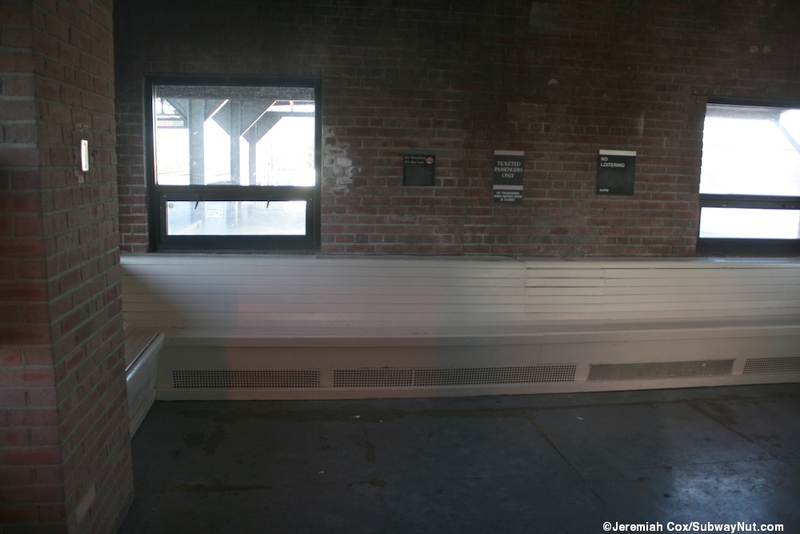 The Newark-bound platform has a lot of empty space as it is situated on what was once the Newark-bound middle express track. 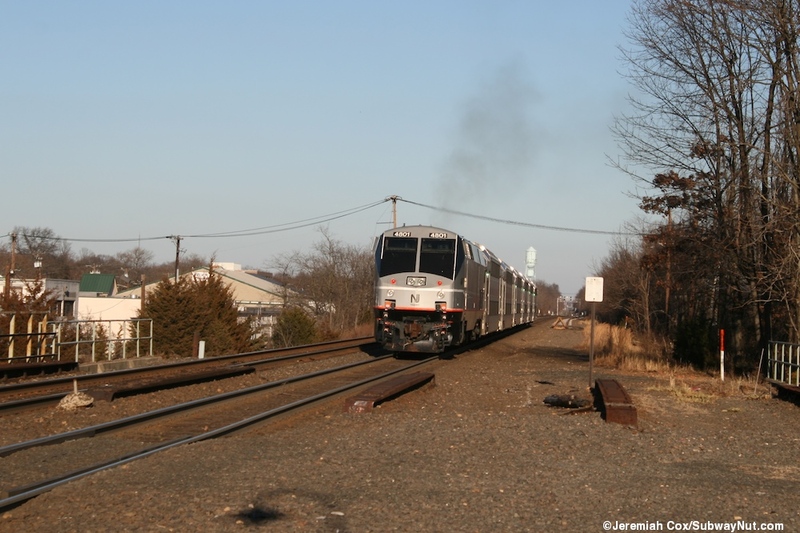 The area between the Newark-bound platform and the edge of the railroad embankment is full of railway ballast. There are still some advertising panels on the fence of the embankment, far away from the simple concrete side platform with a single strip of yellow paint for its edge. 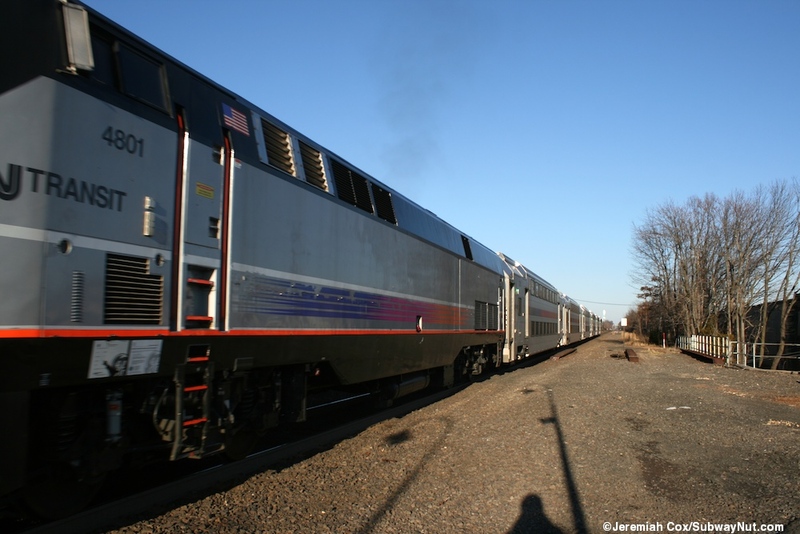 The Raritan-bound platform is more conventional with a platform on the edge of the embankment. 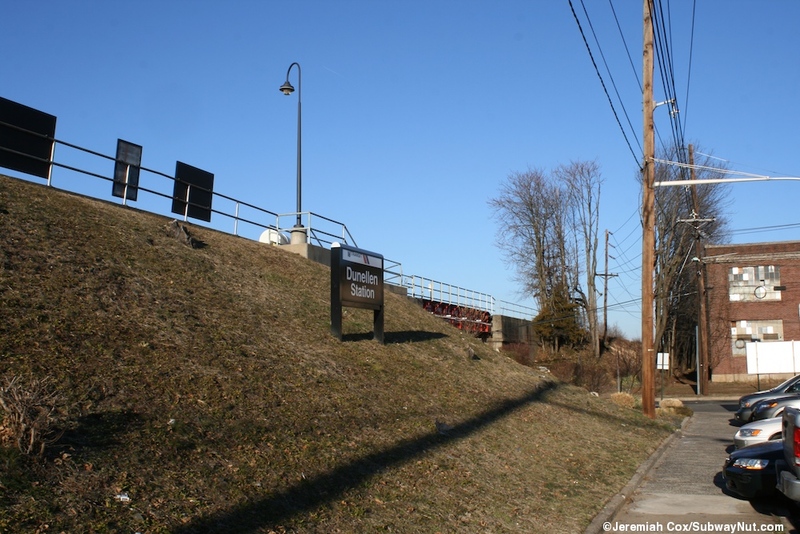 The station runs between the overpasses of Prospect Avenue, (western end) and Washington Avenue (eastern end), each has a single staircase up to each platform. For the Newark-bound platform these staircases lead up to what were the former platform area (when the line had four tracks) and pathways over to today's far away platforms. 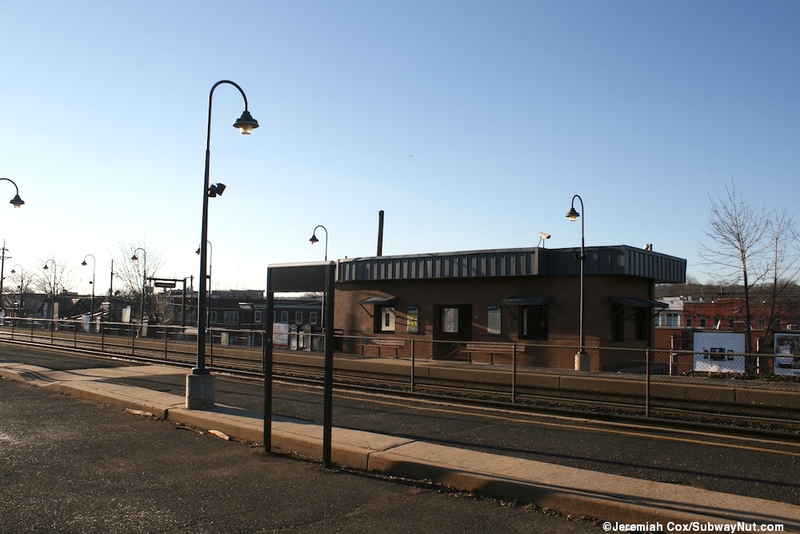 The station was rebuilt sometime in the 1950s-1960s and has two mid-century, simple brick station houses that take up two stories, on street level and platform level in the middle of both sides of the tracks. These buildings are made of red brick with flat slightly overhanging black roofs and similar roofs/awnings at street level. 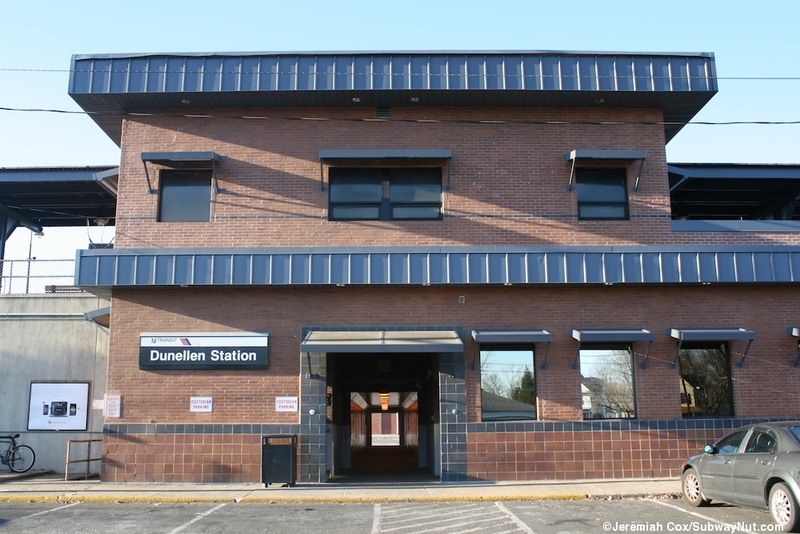 The station's windows also has its own little awnings. 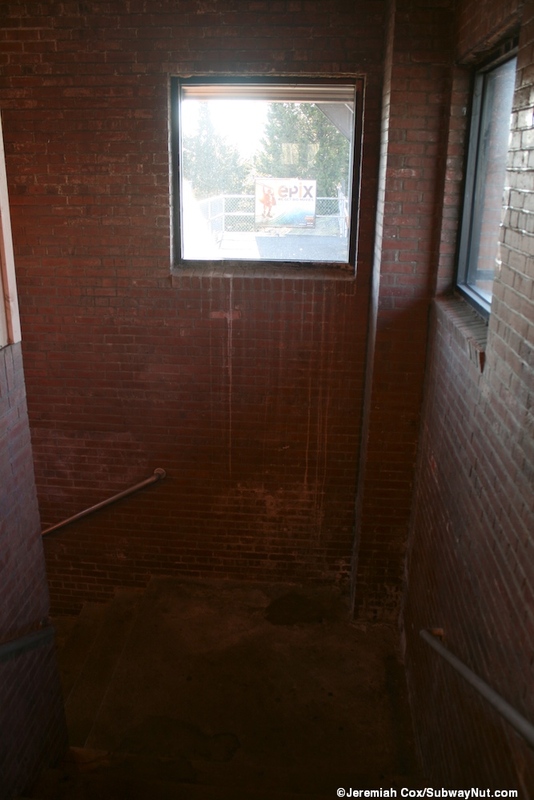 The brick buildings each have an outdoor staircase staircases inside that lead down to an underpass (that is at the same level as the street) beneath the railway embankment to connect the two platforms. 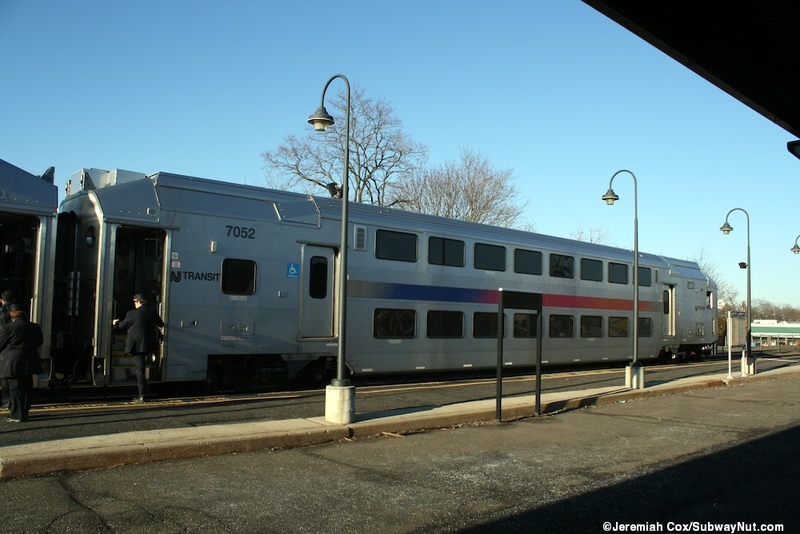 The building on the Raritan-bound platform is half the size of the building on the New York-bound platform. 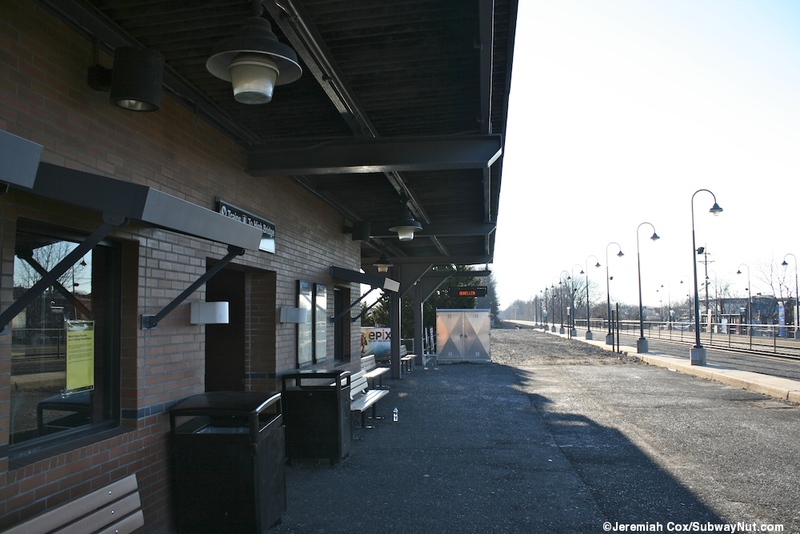 The Raritan-bound platform has a small former waiting area directly on the platform that seems to be used for storage. 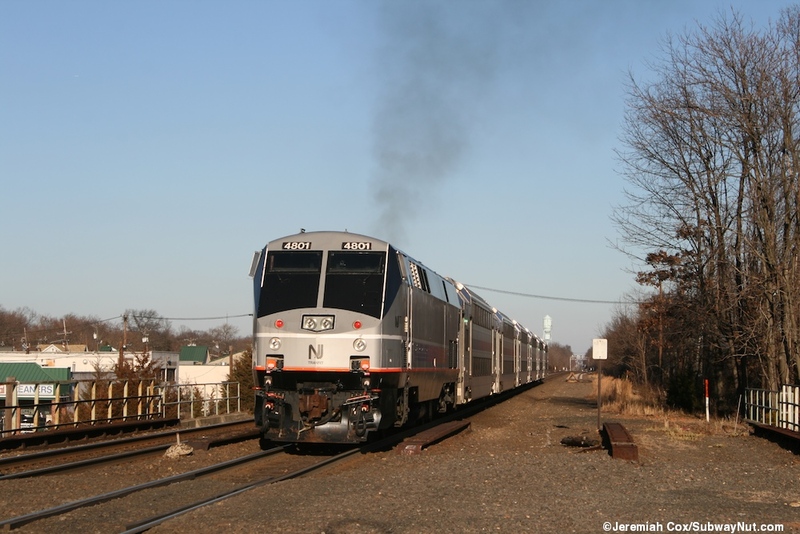 North of the Raritan-bound platform are some low-lying commercial businesses and walkways to North Avenue. 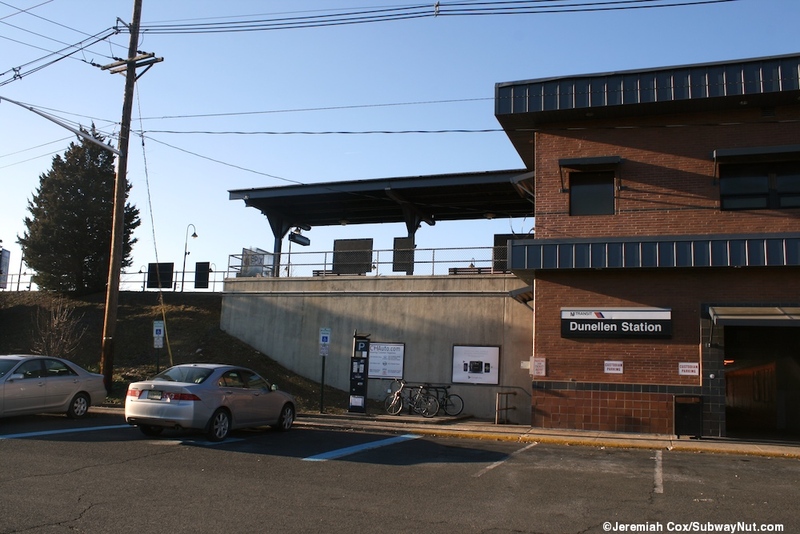 The only amenity for passengers waiting for Raritan-bound trains other than some benches along the platform is the tiny overhang of the station's roof. 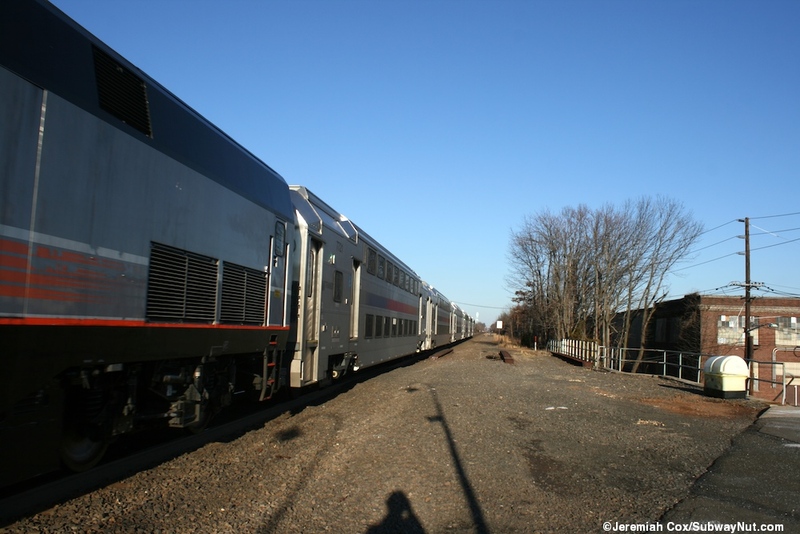 The New York-bound platform's building is bigger. At platform level in front of it is the one portion of the original platform that is still intact with a black canopy (with simple black supports) directly connected to the overhanging roofline of the building. 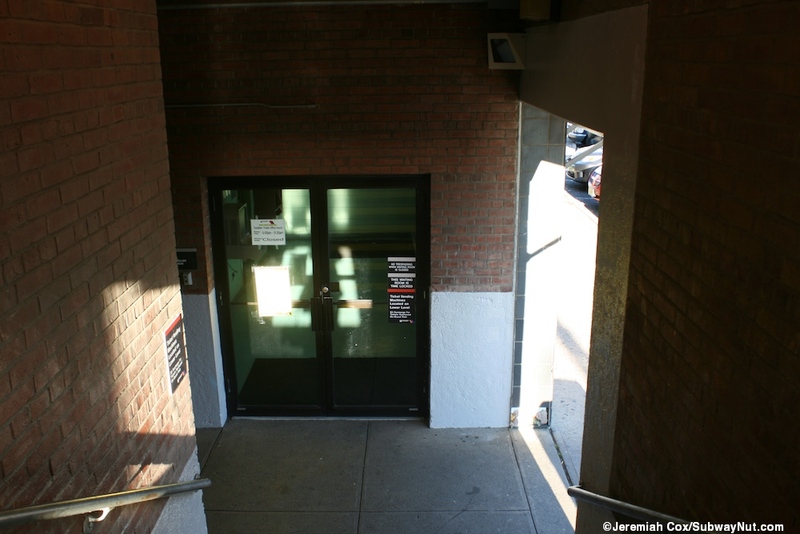 The area in front of the building beneath the canopy is paved out to the current, relocated platform. 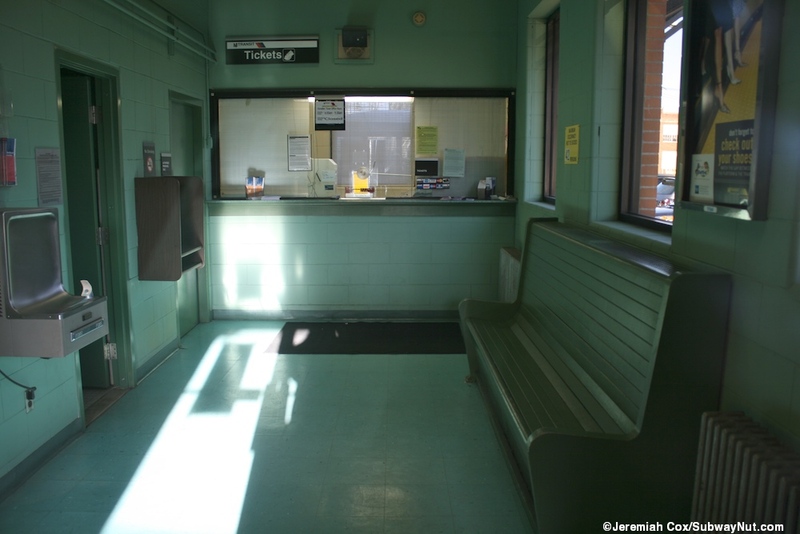 On the upper level is a small enclosed waiting area with a white bench along its walls. It is barely open with the same hours as the ticket office. 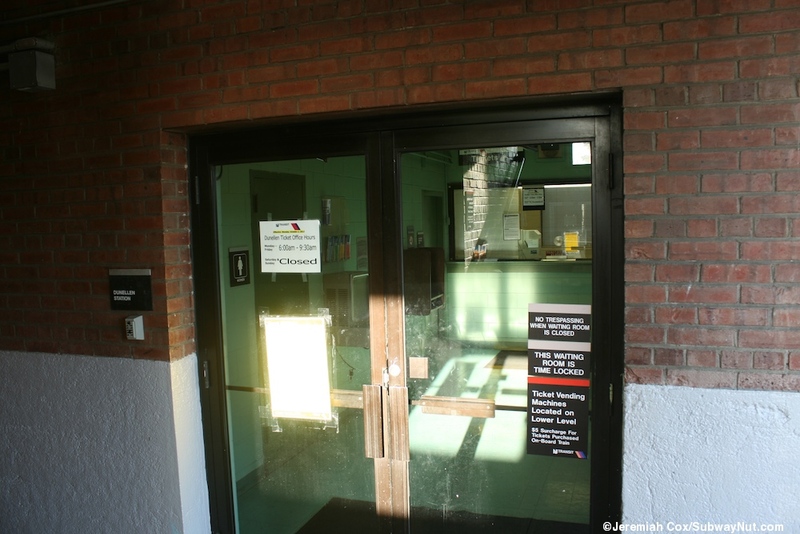 The ticket office is at street level and only open from 6am to 9:30am. 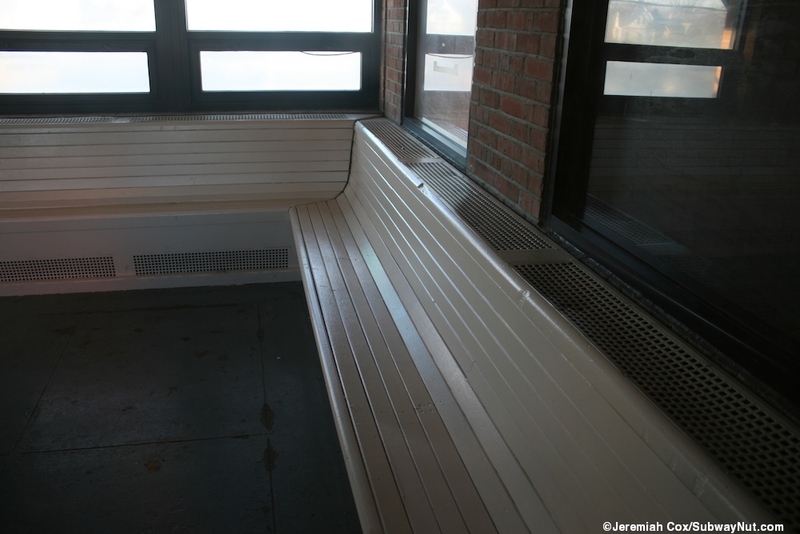 Inside is a window, restrooms and a single white wooden bench across from the water fountains. 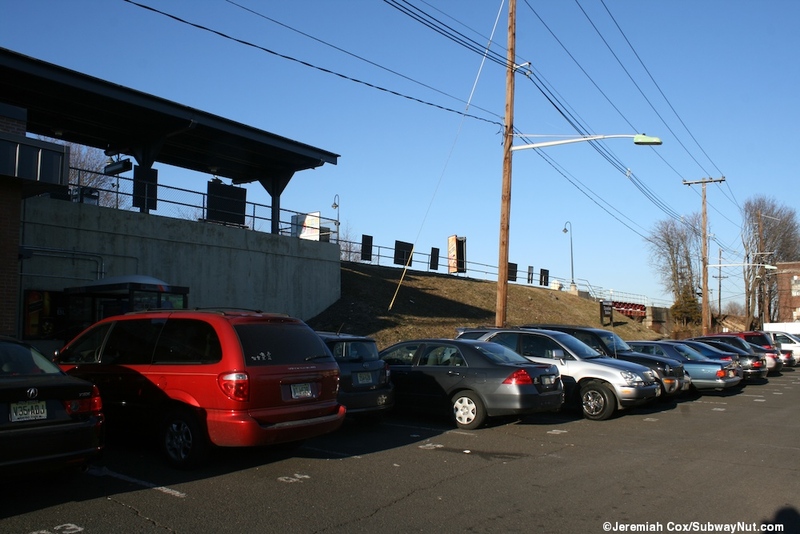 This station is along Skinner Plaza that is the station's 250 space parking lot.